Welcome to Ashford & District RRC! 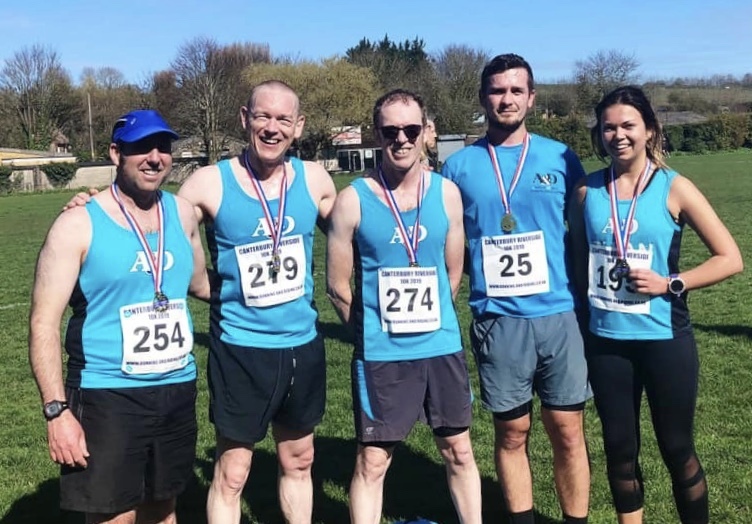 Established since 1988 and based at Sandyacres Sports & Social Club in Ashford, we take part in road running, cross country and long-distance walking. Why not join us on a Tuesday or Thursday night from 7pm? Tuesday night sessions have now reverted to 7pm but please don't arrive before 6:45pm as the gates will not be open. If arriving early please don't block the gate. 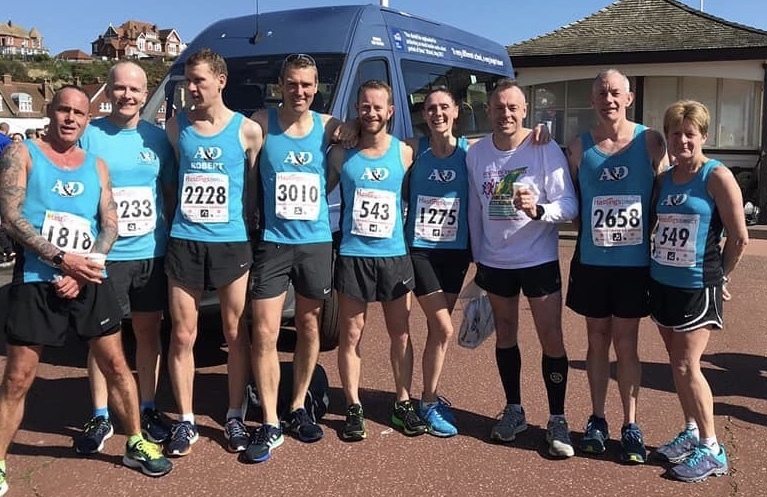 Sunday marked the start of the start of Marathon season, with A&D runners and supporters travelling to the South Coast, the continent and further afield for their races. Debut and seasoned marathoners alike felt the benefit of months of focused training and the club’s support. A Brighton-bound coach full of runners and supporters left Ashford in the early hours of Sunday morning. Paul Ridley was first home for the club with a PB of 3:09:49, closely followed by Julius Samson in 3:10:17. Carl Ireland was next over the finish line in 3:38:54, followed by Rob Barton with a PB of 3:47:25. Max Dallison finished in 4:01:23, followed by Ricky Hickman in a PB time of 4:10:43. One of only 102 runners to have competed in every one of the ten Brighton Marathons to date, Steve Hickman finished in 4:11:53; the achievement was marked with a distinctive bib and commemorative medal. Making his marathon debut, Shaun Snowwolf-Harris completed the course in 4:27:55. Mark Cleworth was next home for the club in 4:34:32. Also marking their marathon debuts, Keith Lynn finished in 4:48:40, followed by Hugh Scarlin in 4:57:19. Paul Spencer was next man home for the club in 5:09:35. In her first marathon Becks Macey ran an superb time of 3:28:57. Gill O’Connor claimed 2nd in her age category with a time of 3:38:32. Christine Costiff crossed the finish line 60 seconds later, placing her 4th in the age category with a time of 3:39:32. Sandi Mortimer broke through the four-hour time barrier, achieving a PB of 3:57:14. Tracey Calnan was next lady home for the club in 4:04:37. Sarah Homewood achieved a PB time of 4:36:03, followed by Ailis Goddard in 4:47:33 and Kim McHenry in 5:31:55. 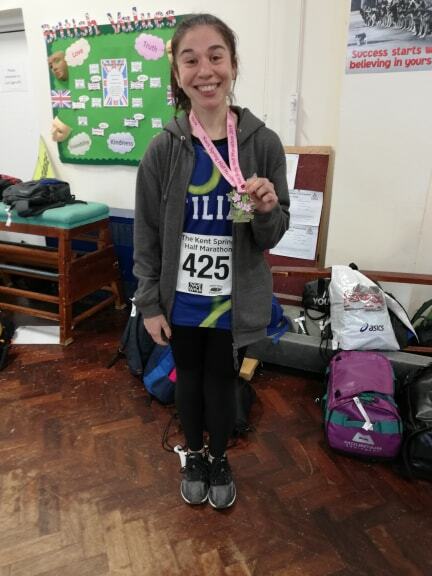 Lucy Johnstone continued her London Marathon preparation, completing the Brighton Marathon 10k race in 58:30. Across the Channel, two A&D runners competed in the Marathon de Paris. Marking his 50th marathon to date, and his 5th so far this year, Rik Holden completed the course in 3:32:00. Karine Reid achieved a PB time of 5:18:47. Across the Atlantic Scotty Lynch (25:06) and Andrew Noble (25:27) completed the 5K around Boston’s Jamaica Pond, ready for the city’s prestigious Marathon on Monday. 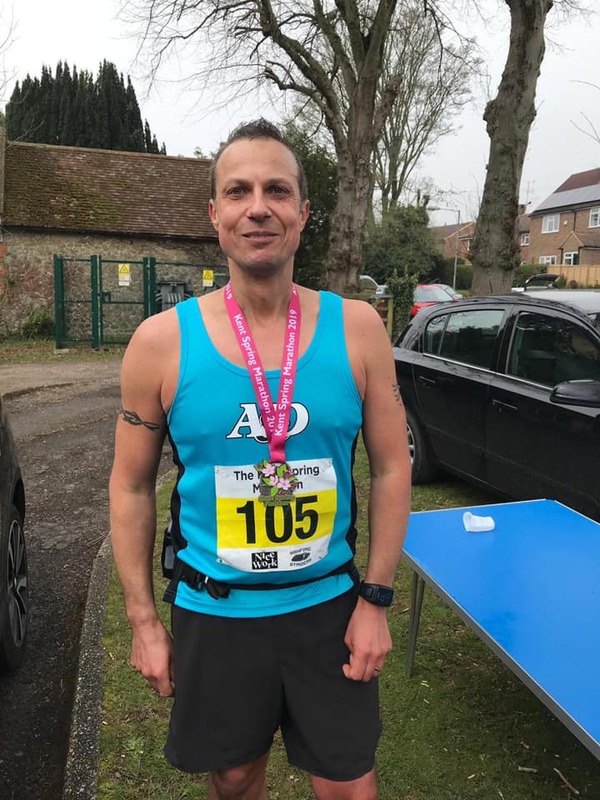 A&D runners achieved PB times in the Kent Spring Marathon and Half Marathon on Sunday. The course featured sections of the Pilgrims Way and challenging hills. Taking more than 10 minutes off his previous best time over marathon distance, Aaron Homewood achieved a brilliant PB of 4:10:39. In the half marathon, Filiz Salih also achieved a PB of 1:48:36. 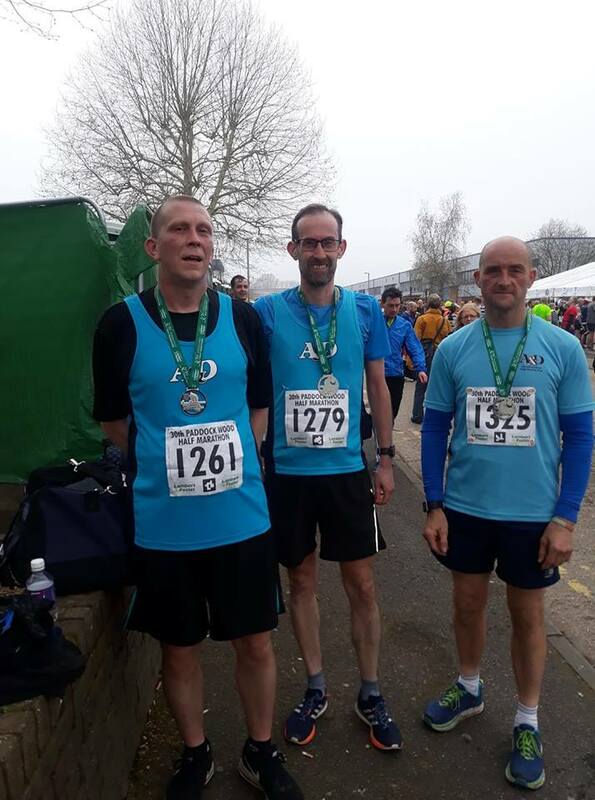 Four club members took on the 30th Paddock Wood Half Marathon on Sunday. Marking his third half-marathon PB in the past month, Keith Haynes was first home for the club in 1:33:32. Getting faster with every race, James Phillips also achieved a PB of 1:39:25. Paul Brasington (1:46:01) and Stu Nunn (1:46:03) were next home for the club, crossing the finish line in quick succession. Sunday saw Sue Reader head to the Kent Coast for the cookie-based challenge event. The out-and-back course consisted of 3.75-mile segments. Reader covered 23 miles 4:35:41. Gill O’Connor was 1st in her age category at the Riddlesdown Parkrun on Saturday, with a time of 22:26. A&D ladies were on fine form at the weekly 5K, with Christine Costiff (21:15) and Elodie Paviot (22:26) claiming 1st and 2nd lady home. Ailis Goddard was next over the finish line with a PB of 25:42. Sandi Mortimer completed the course in 25:51, followed by Ann Fidge (29:00), Emma Jenkins (31:32), Sarah Taylor (33:55), Becky Hodgson (33:56) and Debbie Payne (34:44). The club’s men also turned out in force for the race. Mark Harrison was 5th overall in 19:51, closely followed by Dan Green (19:53) in 6th and Paul Moses (19:58) in 7th. Julius Samson (20:45) and Scotty Lynch (20:45) finished in 11th and 12th places, respectively. John Beale completed the course in a PB time of 21:03, with Carl Ireland (21:04) close behind. Adrian Beresford (22:02) marked his 5th consecutive PB on the course, closely followed by Darren Fagg (22:08) also in PB time. Ian Grundy (22:34), Will Whittington (23:47), Rod Kessack (24:32) and John Fidge (25:57) were next over the finish line. Paul Brasington completed the course in 26:45, followed by Keith Haynes (27:55) and Trevor Sparkes (29:53). Two A&D runners faced an ultra like no other this weekend: Dublin to Belfast, a route in excess of 100 miles. The event was made all the more challenging by treacherous road crossings and the absence of expected checkpoints. Helen Weeden covered an astounding 43 miles of the route. 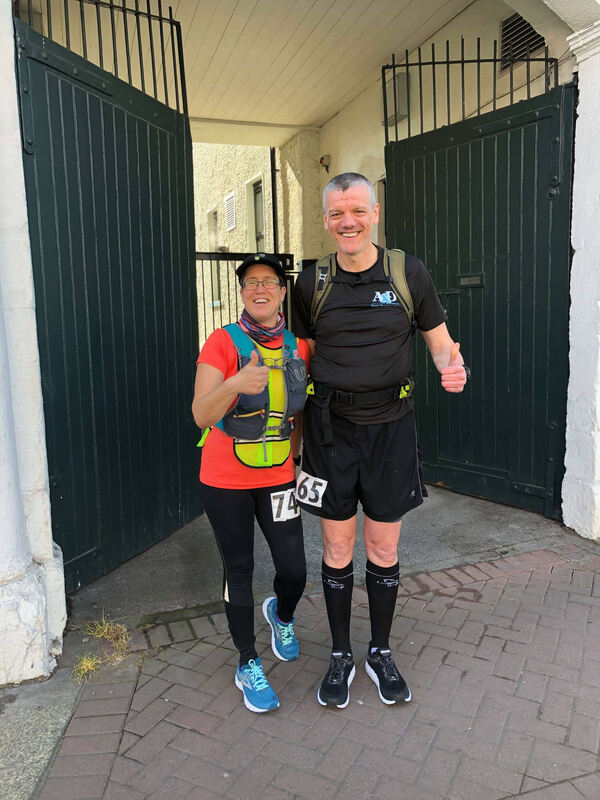 Running for Scottish Huntington’s Association and showing phenomenal determination and resilience, teammate Eddie Rodger ran a total of 111 miles in 29:45:05. 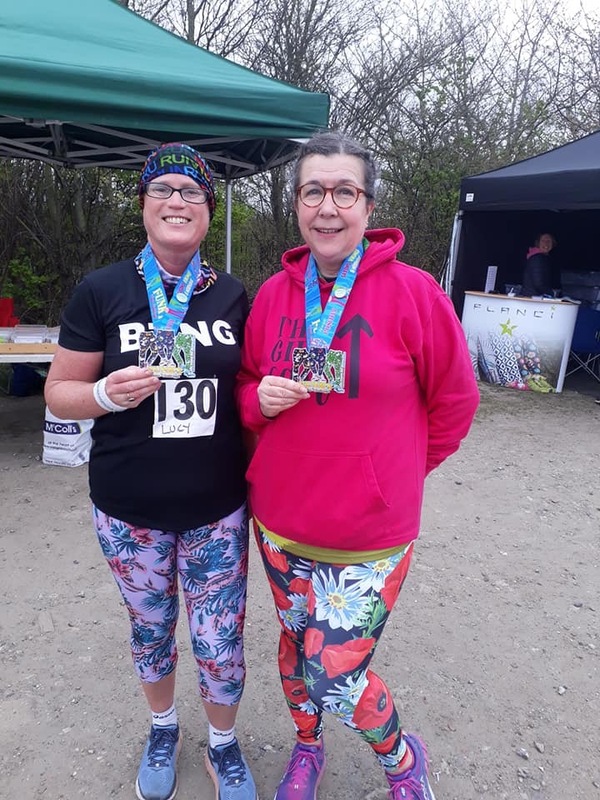 Lucy Johnstone and Becky Hodgson donned their brightest running gear for Sunday’s challenge event around Gravesend’s Cyclopark. Changing her vibrant leggings for each of 3 laps, Hodgson covered over 15 miles in 3:55:02. Johnstone ran 21 miles in 4:10:24, preparing her well for the forthcoming London Marathon. 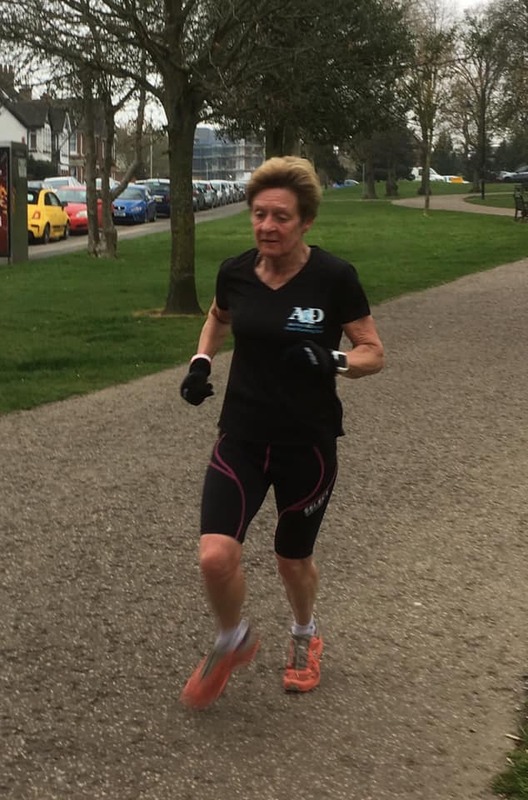 Several A&D runners achieved PB times this weekend at the weekly 5k around Victoria Park. Trevor Kay was first home for the club and 5th overall in 18:51, followed by Dan Green (19:22) in 7th. Julius Samson (19:46) and Rob Barton (19:49) finished in 10th and 11th place, respectively, whilst Mark Harrison (20:09) achieved a PB time and claimed 12th place. James Booth crossed the finish line in 20:30, followed by Paul Ridley (20:40), Scotty Lynch (20:50) and Keith Haynes (21:04). With a trio of PBs, John Beale (21:14), Adrian Beresford (22:08) and Nicola Moffat (23:08) were next home for the club. Terry Sellen finished in 23:11, followed by Don Dewar (24:10), Rod Kessack (25:10), Lisa Bracken (26:28), Keith Lynn (26:36), Lisa Jones (27:17) and Trevor Sparkes (28:45). Emma Jenkins (29:53) continued on fine form and achieved a spectacular sub-30-minute PB, paced by Elodie Paviot (30:11). Lesley Moody (31:07) and Becky Hodgson (34:04) were next home for the club. 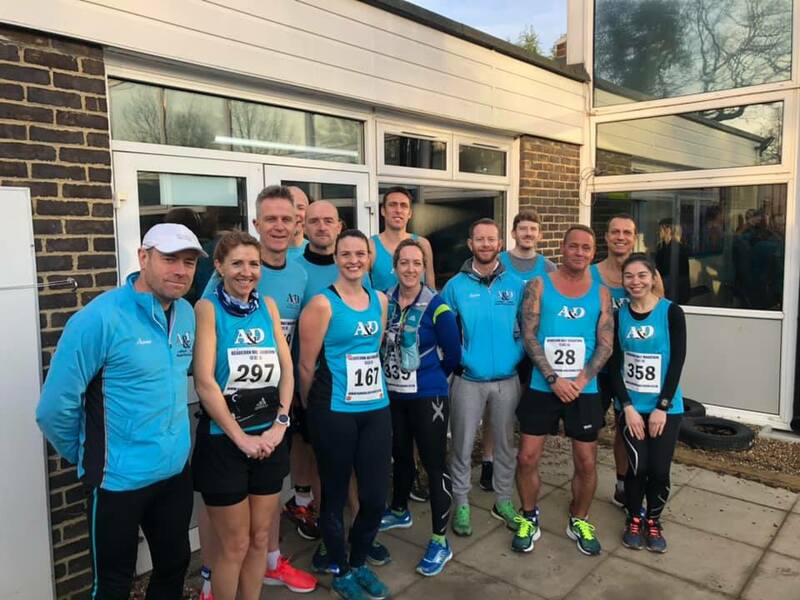 Ashford and District Runners were out in force over the weekend doing what they do best, representing the vest with pride in events throughout Kent and beyond. The 35th Hastings half Marathon saw 16 representatives from the club. With a welcome return to competition by Robert Latala, he finished in 5th place with 1:14:45 in the face of tough competition. Becks Macey was First Lady home in 1:33:37 knocking over 5 minutes off her personal best time for the distance. A dominant performance from Christine Costiff in her age category with a time of 1:35:17 won by over 14 minutes taking the National Masters Award. Paul Ridley 56th with a personal best of 1:26:36, Scott Lynch 58th with 1:26:58 and Julius Samson 59th in 1:27:02 worked well as a team. With James Booth making his first appearance in A&D colours finishing 96th in 1:29:30, five club runners finished with sub 1:30:00 times. Keith Haynes continues his recent good form finishing 167th with 1:33:51. The training is paying off for James Phillips, improving his Hastings time by 9 minutes and a 2 minute half marathon personal best with 1:42:59. John Beale ran alongside Adrian Beresford to finish 444th and 445th respectively in times of 1:44:36 and 1:44:37. Doing the long races every weekend, Shane Snowwolf Harris finished 730th in 1:51:49. Mark Cleworth 962nd (1:56:39), and Keith Lynn, battling with injury, 1250th (2:04:59) were encouraged by their performances on the day. Lucy Johnstone also running the long races as part of her marathon preparation finished in 844th with a time of 2:22:58. Sarah Taylor completed the course in 890th place with 2:22:23. At the London Landmarks Half Marathon Filiz Salah ran a personal best time of 1:48:50. Tomasz Latala travelled the furthest this weekend finishing the Cracow half marathon in 111th in a time of 1:24:43. 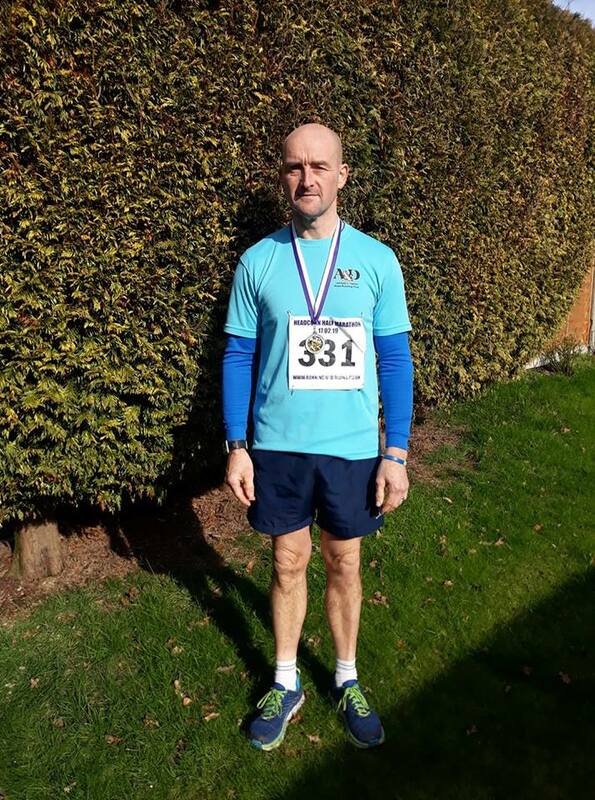 The Medway Megalith Marathon was described by seasoned distance runner Mark Attenborough as: “the hardest run I have ever done”. He was joined by long distance specialist Rik Holden, who took first place in his age group. A team of five runners competed in the Canterbury Riverside 10k. Jon Wells took the M40 prize and finished 6th overall in 38:20. Coming back from injury, Paul Moses finished 10th in 40:06 and won the M50 prize. With Neil Woodham 28th in 44:45, Rhian Shrimplin 6th lady, 46:42 and Anthony Brown 52nd, 47:32, A &D narrowly missed out on the team prize. At the Smugglers 10k at Minis Bay an in form Adrian Moody took the M50 prize. Simon Jackson was very pleased with his time of 53:07, and Rachel Jenkins also ran well on the day. Don Dewar took raced the Whitstable 10k finishing with a time of 46:37. 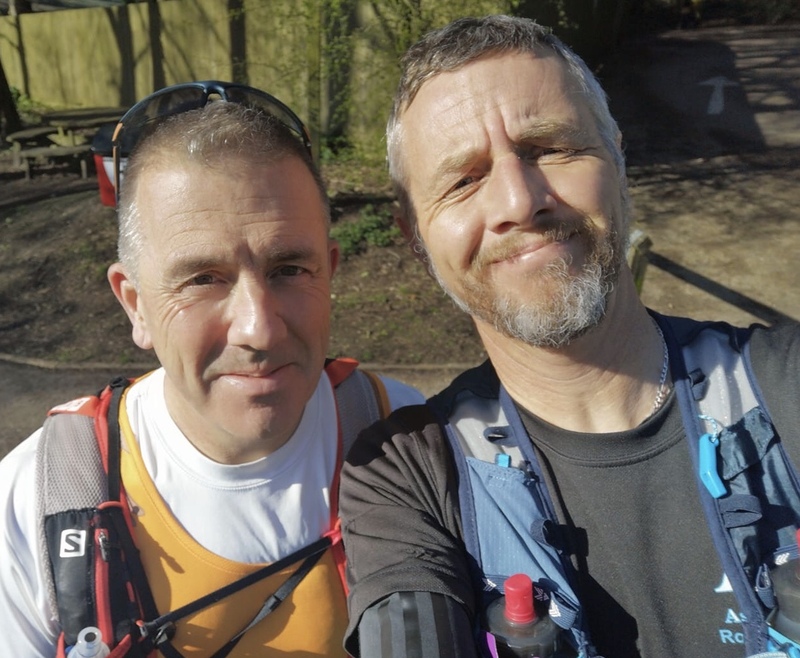 Steve Hickman made an emotional trip to the Isle of White to take part in the Rog Run in memory of a well respected IOWRR team mate. Emma Jenkins and William Whittington represented the club at the ‘Great Local Run’. At Saturdays park run John Pearce in 2nd place with 17:57 was first home of the 14 runners from A&D. 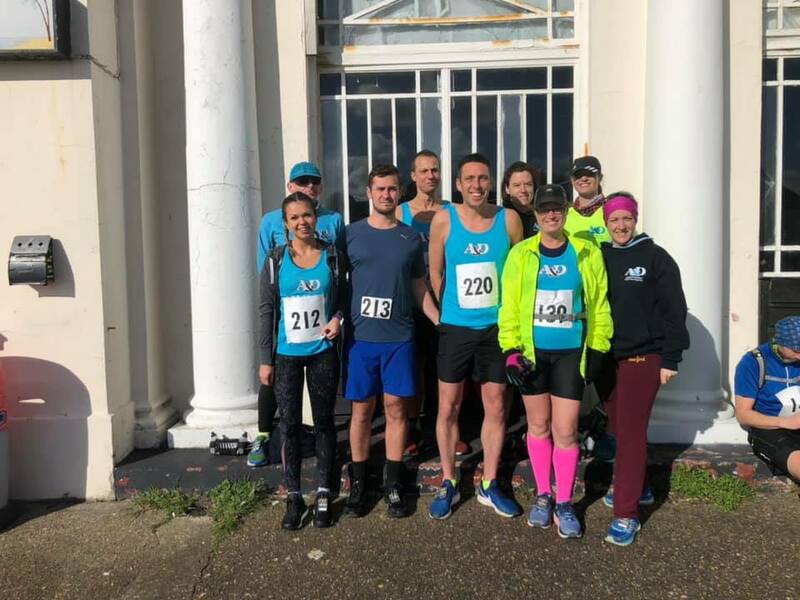 Facing a mixture of Spring sunshine, wind and hail, nine A&D runners took to the Kent coast for the Ricki Savage 20 Mile Road Race on Sunday. The hilly course took runners between Pegwell, Ramsgate and Broadstairs, with three club members achieving PB times. Rob Barton was 24th out of 242 runners and 10th in his age category with a time of 2:38:03. Anthony Brown was second man home for the club in 3:00:41. Shaun Snowwolf-Harris completed the course in a PB time of 3:03:08. Both running PB times, Aaron Homewood (3:05:59) and Sarah Homewood (3:29:04) were next across the finish line. Ailis Goddard finished in 3:33:55, followed by Lucy Johnstone (3:44:24), Sue Reader (3:47:51) and Rhian Shrimplin (3:59:25). 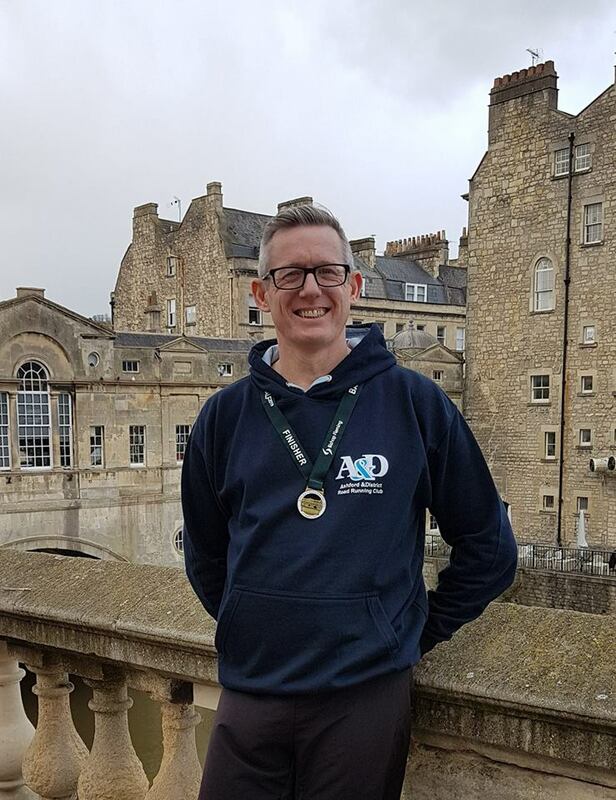 Mark Cleworth completed the Bath Half in 1:50:09, marking his fastest time over the distance in over 20 years. The course consisted of two laps, taking runners either side of the River Avon. Two club members travelled to Windsor on Saturday for the Eton Dorney 20. The eight-lap course took runners around Dorney Lake. Despite high winds, Christine Costiff (2:46:37) and Gill O’Connor (2:46:39) claimed 2nd and 3rd Vet places, respectively. Jon Pearce claimed 1st place with a time of 18:20, followed by Dan Green (18:55) in 5th, Scotty Lynch (19:22) in 6th and James Booth (19:55) in 10th. Paul Moses (20:12) finished in 13th place, followed by Keith Haynes (20:36) and Mark Harrison (20:43). Mark Attenborough (21:34) was next over the finish line, with Adrian Beresford achieving a PB time of 22:17. Dean Bracken (22:41) and Stu Nunn (22:57) crossed the finish line in quick succession, followed by Terry Sellen (24:21), Elodie Paviot (24:35), Rod Kessack (24:59) and Will Whittington (25:05). Keith Lynn was next home for the club in 26:11, followed by Trevor Sparkes (26:38), John Fidge (27:24) and Ann Fidge (30:35). Emma Jenkins achieved her third consecutive PB in recent weeks, with a time of 30:45. Becky Hodgson completed the course in 34:58, Julie Foster in 39:25, Rachel Jenkins in 43:03 and Debbie Payne in 44:48. 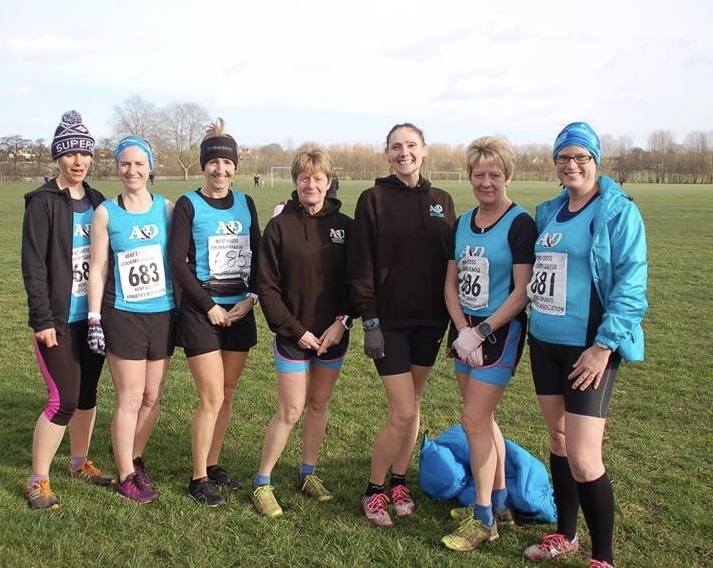 The extremely high winds did not deter the athletes of Ashford and District Road Running Club from racing a total of over 400 miles this weekend. Becky Hodgson provided a tremendous start to the weekend running over 50 miles in the Samphire Challenge Endurance Run. The club were well represented at the Big Half in London. First finisher for the club was Tracey Calnan with a personal best of 1:41:20, followed by Don Dewar with a time of 1:49:05, Ingvild Drake finished in 1:51:12, Shane Snowwolf Harris ran a time of 1:52:29, Aurelie Claudel Morris only 3 months after surgery ran an impressive 2:00:32, Shelly Gwilt Blake completed the course in 2:44:30. 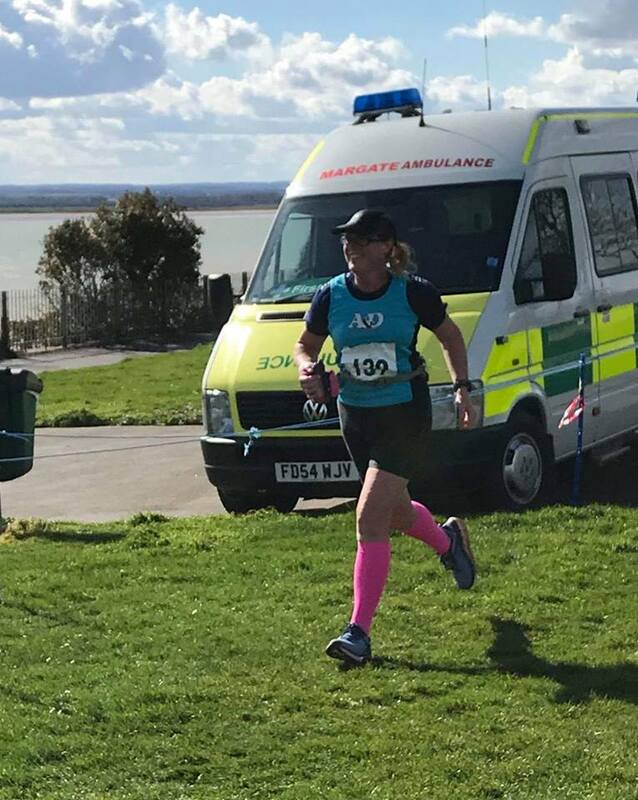 The Lydd 20 mile and half marathon races felt the full force of the high winds on Sunday morning. Conditions were extremely difficult with fallen trees an added challenge. Andrew Noble led the runners home finishing 34th in 2:19:47, Paul Ridley 46th (2:22:12) and Scott Lynch 49th (2:22:49), all reaping the benefit from an intense marathon training programme. Rob Barton, getting stronger with every run, finished in 2:35:53. Carl Ireland continues his recent good form with 2:39:46. Chris Costiff took first place in the ladies V55 category with a time of 2:38:31. Filiz Salah Running alongside Sophie Edmonds ran 3:26:43 and 3:26:45 respectively. Sarah Taylor completed the course in 3:50:27. First finisher for the club in the half marathon was Jon Wells in 1:30:00. Keith Hayes, despite the dreadful conditions achieved a personal best time of 1:34:48, 28th overall and 7th in the V40 competition. Laura Segust also ran a strong race to finish with a time of 1:58:21. Mike Davis ran the Liverpool half marathon finishing in second place in his age category with a time of 1:45:08. Further strengthening an already impressive run Britain ranking. The club were well represented at Ashford Park Run on Saturday morning. Jon Pearce, Dan Green and Tomasz Latala all finished in the top ten. Mark Attenborough, Mark Harrison, Ian Grundy and Carl Ireland, warming up for the Lydd race, also took part. Nicola Moffat made her park run debut with a time of 23:47 and was 4th lady finisher. Other club runners included William Whittington, Terry Sellen, Rod Kessack, Lisa Jones Keith Lynn, Elodie Paviot, Lucy Johnstone, Rachel Jenkins, Verity Dunbar, also making her park run debut with 30:51, Emma Jenkins with a personal best time of 31:18, Sarah Taylor, Lesley Moody, Deborah Payne, and Julie Foster showing continued improvement. 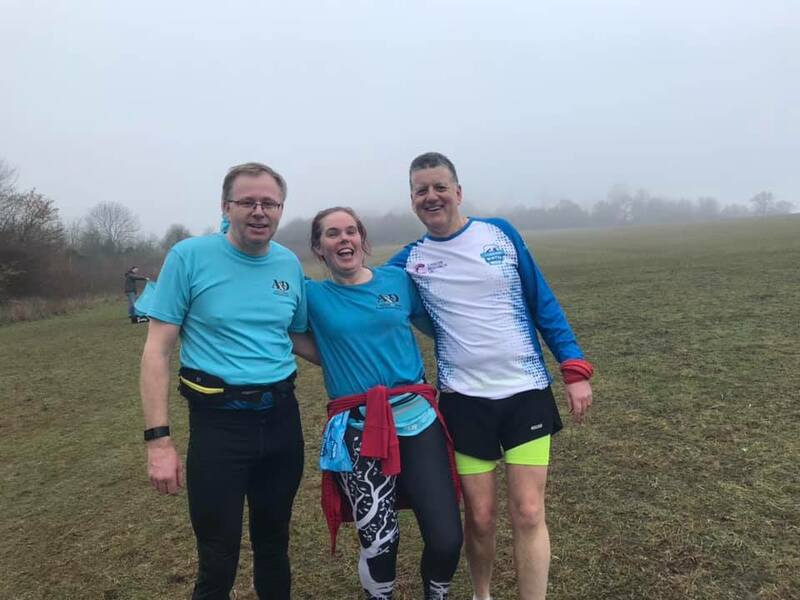 Undeterred by high winds and pelting rain, Sunday saw club members take on challenging off-road races in Kent and West Sussex. On Sunday, three club members competed on the undulating course of forest paths and trail. Christine Costiff finished the 10-mile race in 1:16:13, making her 1st Vet and 3rd lady home; Ingvild Drake completed the course in 1:28:07. In the 5-mile race, Paul Ridley was 3rd male and 4th overall, with a time of 33:48. Two A&D runners completed the Steyning Stinger marathon on Sunday. The muddy course took runners across the South Downs and featured several steep inclines. Eddie Rodger finished in 5:01:21, followed by Steve Hickman in 5:13:43. Back on road, Shaun Snowwolf-Harris completed the Cambridge half marathon in 1:59:03. Christine Costiff was 14th overall and 1st lady across the finish line of the Riddlesdown Parkrun on Saturday, with a time of 22:20. Saturday saw 20 A&D runners descend on Victoria Park for the weekly 5K. Trevor Kay was 4th overall in 18:20, followed by Dan Green (19:16) in 9th place, Keith Haynes (20:47) in 15th and Richard Baker (21:03) in 19th. Scotty Lynch was next home for the club in 21:53, with Carl Ireland (22:50), Filiz Salih (23:15), Stu Nunn (23:23) and Don Dewar (23:24) soon after. Sandi Mortimer achieved a PB time of 23:35, crossing the finish line alongside Terry Sellen (23:35). Rod Kessack completed the course in 25:11, followed by Keith Lynn (25:44), John Fidge (26:46) and Ann Fidge (30:15). Emma Jenkins crossed the finish line in a PB time of 31:20, followed by Susan Sutton (35:04), Becky Hodgson (36:33), Julie Foster (38:02) and Sukai N’Dure (38:41). Marking 26.2 of the calendar year, Tuesday saw Mark Attenborough complete the 6th SVN Marathon Day event between Deal and Kingsdown. Attenborough finished the 5-lap course in 3:29:26. Andrew Noble represented A&D at the National Cross Country Championships at Harewood House, Yorkshire. A fitting finale to the club’s XC season, Noble finished the 12K course in 50:07, placing him 1055th out of 2006 runners. The sun shone on A&D runners facing the unrelenting hills and steps of the Lenham Winter Cross Marathon on Sunday. Rik Holden completed the course in in 4:55:13; Steve Hickman finished in 6:46:47. Gill O’Connor endured Sunday’s unseasonably warm weather on the East Sussex Coast, finishing the Brighton half marathon in 1:43:17. Will Whittington (24:57) and Emma Jenkins (32:15) completed the 5K around Kingsnorth on Sunday. 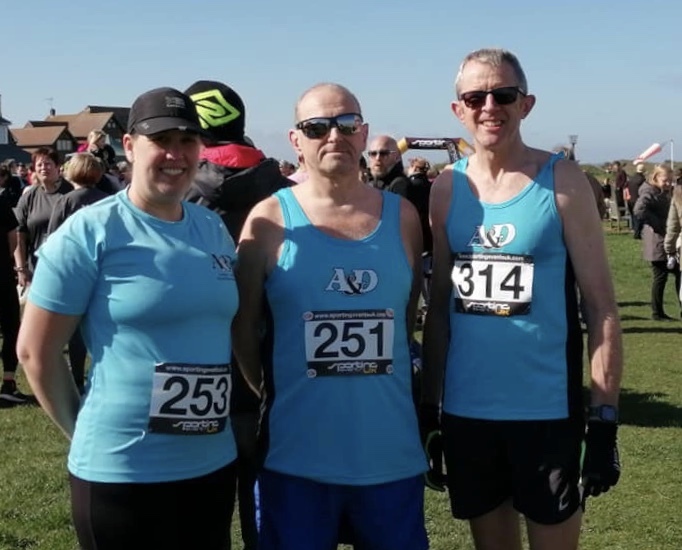 Two A&D runners took on the SVN challenge around Reculver on Saturday. A mixture of trail, grass, concrete and tarmac, the event started in late-afternoon sunshine and finished in misty darkness. Helen Weeden marked her 48th marathon to date, covering an ultra distance of 31.25 miles in 7:05:12. Eddie Rodger covered 26.2 miles in 4:40:19. Christine Costiff faced windy conditions during the 5K along Hastings seafront on Saturday, finishing in 21:24. 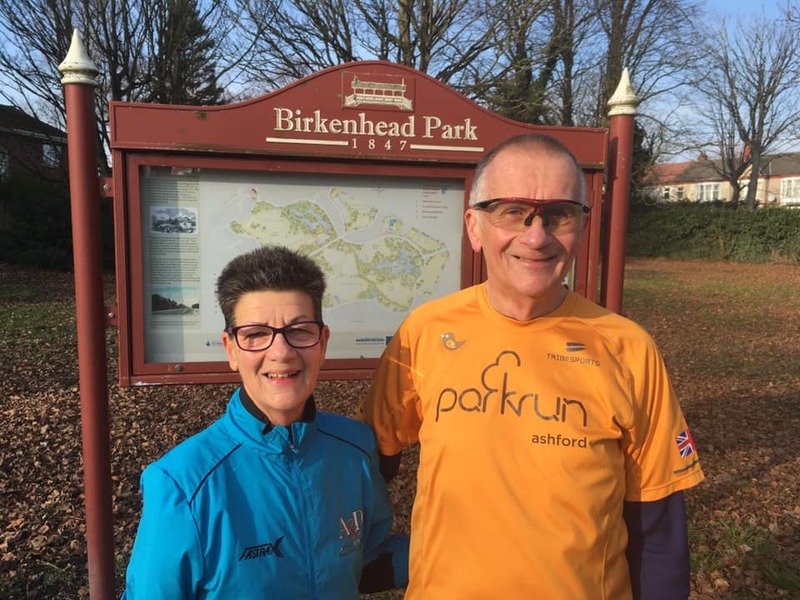 Further north, two club members completed Birkenhead Parkrun. John Fidge finished in 27:18, followed by Ann Fidge in 30:44. Chris Boyce was 2nd overall with a time of 19:18. Scotty Lynch was 13th overall in 21:04, followed by Mark Harrison (21:13) in 16th place and John Beale in 18th with a PB time of 21:35. Ian Grundy (23:00) was next home for the club, closely followed by Don Dewar (23:18), Terry Sellen (23:33), Will Whittington (23:51) and Stu Nunn (23:56). Rod Kessack crossed the finish line in 25:12, with Keith Lynn (25:28) close behind. Lisa Bracken was next in 27:31, followed by Shaun Snowwolf-Harris (27:42), Lucy Johnstone (28:52), Emma Jenkins (32:10), Lesley Moody (33:56), Susan Sutton (34:23), Becky Hodgson (34:59) and Julie Foster (39:56). 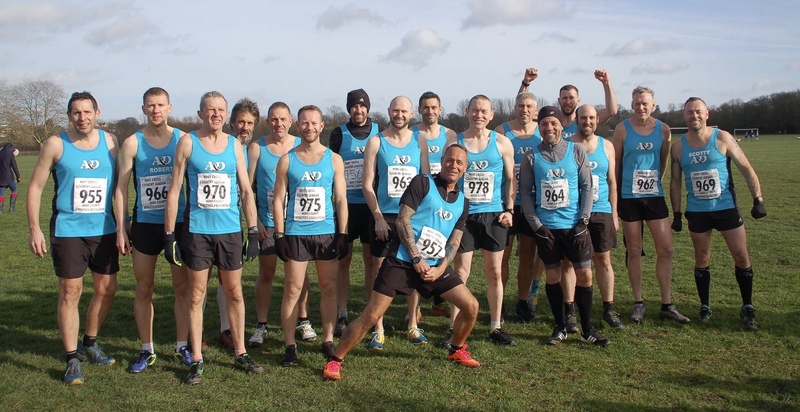 Sunday saw 16 A&D runners take on the 3rd Headcorn Half Marathon. Andrew Noble was 13th overall and 2nd in his age category, with a time of 1:24:24. Scotty Lynch (1:27:33) was 5th in his age category, with team mate Paul Ridley (1:27:52) close behind; the pair finished in 18th and 19th place, respectively. Rob Barton (1:31:59) finished in a PB time, followed by Chris Boyce (1:33:45), Robin Butler (1:36:32) and Adrian Beresford (1:40:55). John Beale (1:43:13), Neil Woodham (1:45:00), James Phillips (1:45:01), Sandi Mortimer (1:48:02) and Filiz Salih (1:49:31) all achieved PB times. Aaron Homewood was next home for the club in 1:51:21, followed by Keith Lynn (2:02:32), Ailis Goddard (2:06:30) and Sue Reader (2:16:34). Four A&D runners travelled to East London for the Victoria Park 10 Mile race on Sunday. Trevor Kay was 5th overall in 59:09. Anthony Brown crossed the finish line in 1:17:53, followed by Jaclyn Kay (1:28:14) and Rhian Shrimplin (1:41:20). 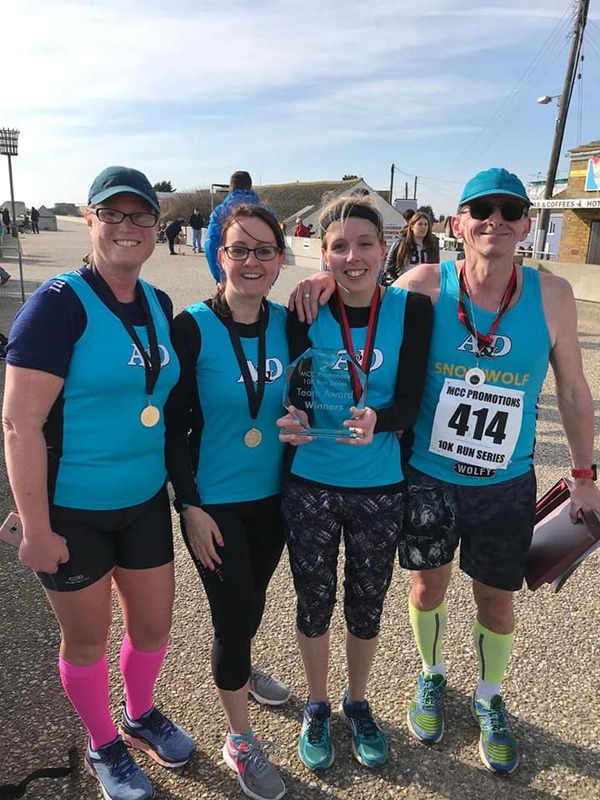 A&D claimed the Team Award at Sunday’s Dymchurch 10K. Shaun Snowwolf-Harris and Laura Segust were first home for the club in 51:14, a PB time for Segust. Lisa Jones also achieved a PB of 55:22, followed by Lucy Johnstone in 58:42. Christine Costiff completed the course in 35:52, making her 1st in her age category and 5th lady home. The undulating course took runners along the Weald’s country lanes. Carl Ireland started the weekend with a new PB of 21:05, making him 1st in his VM55 age category and 23rd overall. The course consisted of two laps of tarmac path, followed by an out-and-back section of gravelly trail featuring a hairpin turn. Three A&D runners took on the notoriously tough 5K around Lullingstone Country Park on Saturday. Will Whittington completed the course in 29:03, followed by Trevor Sparkes (29:58) and Emma Jenkins (41:34). Club members took to Ashford’s Victoria Park on Saturday morning for the weekly 5K. Chris Boyce was 5th overall with a time of 19:07. Scotty Lynch (22:20) was next home for the club, followed by Ian Grundy (23:08), Terry Sellen (23:10), Don Dewar (24:17) and Shaun Snowwolf-Harris (24:50). Lisa Jones achieved a PB time of 25:06, followed by Shelley Hathaway-Batt (28:23), Rachel Jenkins (31:00), Becky Hodgson (34:22), Julie Foster (40:20) and Rod Kessack (55:37). 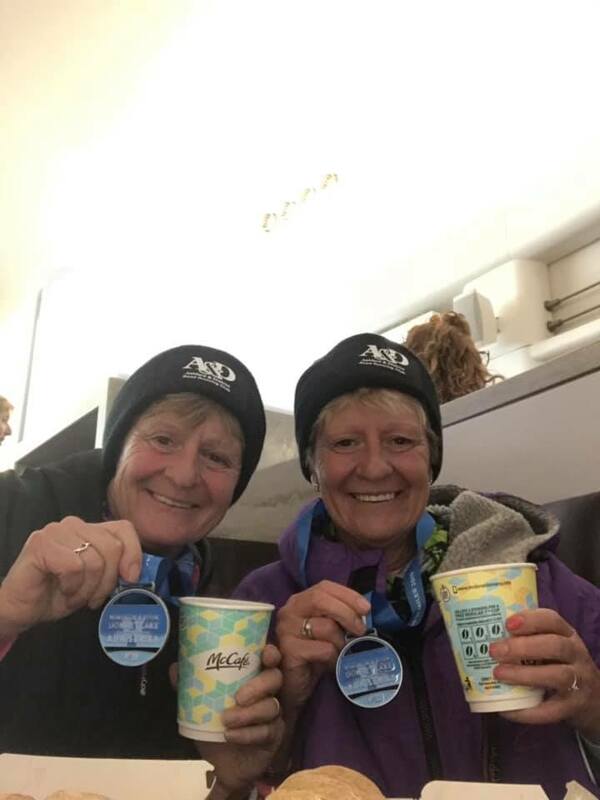 Two A&D members completed the coastal marathon between Folkestone and Hythe on Saturday. Rik Holden finished in 3:38:40, whilst Steve Hickman crossed the finish line in 4:24:35. The Kent County Athletics Association Cross Country season came to a conclusion on Saturday. It has proved to be a successful campaign with cross country captain Adrian Moody managing strong turnouts at all events giving solid direction and coaching in the clubs second year back competing in this prestigious league. 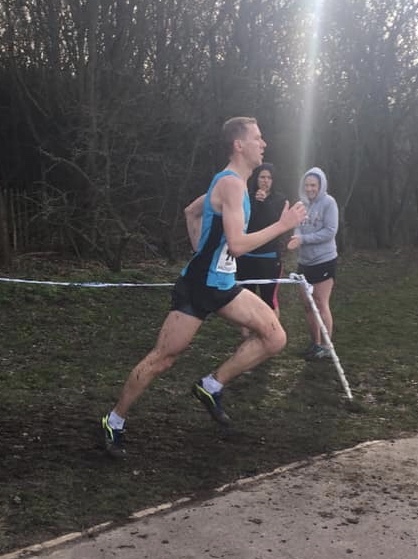 At Norman Park, Bromley, the ladies were led home by Becks Macey in 7th place (23:32) with a 7th overall in the league and 4th in the woman’s masters, a very impressive first season in cross country. Chris Costiff was 32nd on the day (26;24) with sister Gill O’Connor 44th (27:23). 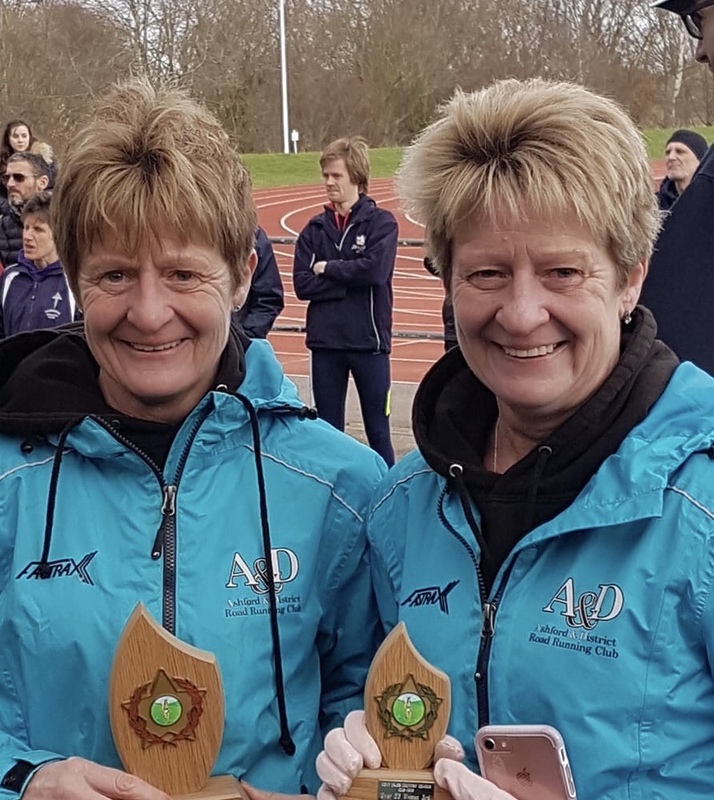 The result ensured the light blue of ADRRC was the dominant colour on the podium with Chris and Gill 1st and 3rd in the woman’s masters 55 league for the season. A strong team performance on the day with contributions from Sandi Mortimer 60th (28:52), Jaclyn Kay 75th (30:50), and Lucy Johnstone 82nd (33:28) gave the club 5th in the 3 to score completion and 4th in the 6 to score. This placed the ADRRC ladies team in 7th place in the 3 to score league and 4th in the 6 to score. The men’s team were very well represented with 17 runners competing on the day. A well timed return to the team saw Robert Latala finish 18th (35:52). Jon Pearce with a trademark determined run delivered 40th place (38:38). Dan Green was close behind in 49th (39:47). Trevor Kay finished in 62nd place (40:37) and Jonny Wells, fighting back from sickness 65th (41:00), gave Trevor and Jonny 8th and 9th places in the league. Andrew Noble continues his excellent form in 68th (41:12), snapping at his heels was club captain Scotty Lynch in 70th (41:23). Adrian Moody, getting quicker with every race, finished 88th (42:28). Consistent running from Scotty and Adrian was rewarded with 8th and 9th places respectively in the Masters 50 league. Paul Ridley 98th (43:19), Mark Attenborough 102nd (43:47), Keith Haynes 104th (44:08), and Mark Harrison 102nd (43:47) gave ADRRC 4th place on the day in the 12 to score competition. 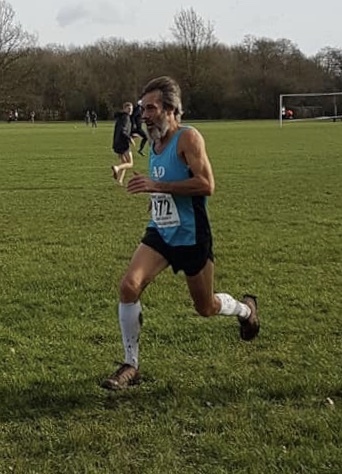 Club runners Richard Baker 124th (45:50), Carl Ireland 126th (45:57), Robin Butler 130th (47:02) after a nasty fall during the race, Neil Woodham 134th (48:03) in his first race and Adrian Beresford 135th (48:18), gave strength in depth all contributing to the result on the day and protected the league position. In the clubs second season back in the league ADRRC finished 4th in the 4 to score competition and 3rd in the 12 to score. 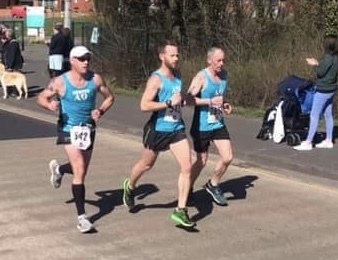 On Sunday at the ADRRC 10K Robert Barton finished in 20th with a time of 40:58, Terry Sellen was 128th in 49:57 and Shaun Snowwolf-Harris 163rd with 52:31.